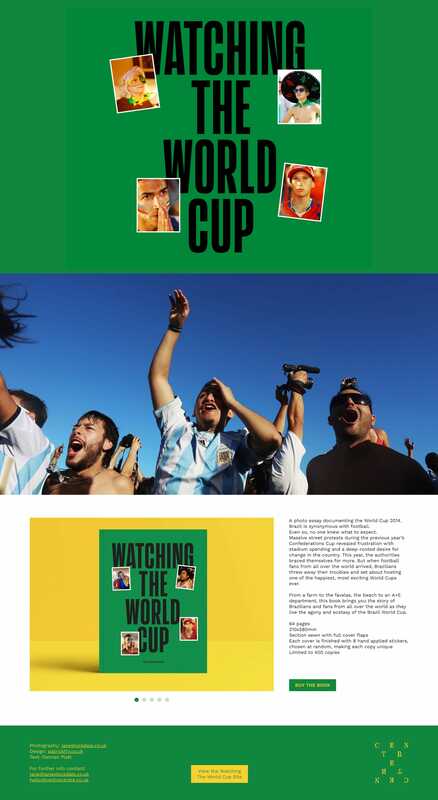 Clean Landing Page promoting ‘Watching The World Cup’ – a book documenting how Brazilian fans engaged with the World Cup in 2014. Neat touch of course with the Brazil color scheme throughout. From a farm to the favelas, the beach to an A+E department, this book brings you the story of Brazilians and fans from all over the world as they live the agony and ecstasy of the Brazil World Cup.